VATICAN CITY (CNS) — Humanity’s greed and selfishness can turn creation into a sad and desolate world instead of the sign of God’s love that it was meant to be, Pope Francis said. 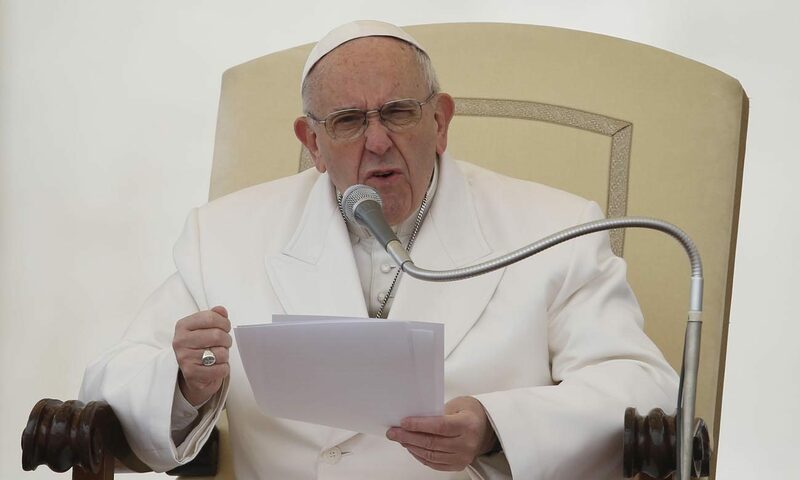 Human beings are often tempted to view creation as “a possession we can exploit as we please and for which we do not have to answer to anyone,” the pope said Feb. 22 at his weekly general audience. “When carried away by selfishness, human beings end up ruining even the most beautiful things that have been entrusted to them,” the pope said. As an early sign of spring, the audience was held in St. Peter’s Square for the first time since November. Despite the chilly morning temperatures, the pope made the rounds in his popemobile, greeting pilgrims and kissing bundled-up infants. Sin, however, breaks communion not only with God but with his creation, “thus making it a slave, submissive to our frailty,” the pope said. “Think about water. Water is a beautiful thing; it is so important. Water gives us life and it helps us in everything. But when minerals are exploited, water is contaminated and creation is destroyed and dirtied. This is just one example; there are many,” he said, departing from his prepared remarks. When people break their relationship with creation, they not only lose their original beauty, he said, but they also “disfigure everything surrounding them,” causing a reminder of God’s love to become a bleak sign of pride and greed. St. Paul tells believers that hope comes from knowing that God in his mercy wants to heal the “wounded and humbled hearts” of all men and women and, through them, “regenerate a new world and a new humanity, reconciled in his love,” Pope Francis said. “The Holy Spirit sees beyond the negative appearances for us and reveals to us the new heavens and the new earth that the Lord is preparing for humanity,” the pope said.